Summary: One minute Sara's bored on vacation in Istanbul. The next, she's unearthed a flying carpet that cleverly drags her to the mysterious Island of the Djinn—or genies. By her side is Amesh, a hot boy she's starting to love but doesn't yet trust. When Amesh learns the secret of invoking djinn, he loses control. He swears he'll call upon only one djinn and make one wish. The plan sounds safe enough. But neither Sara nor Amesh are any match for the formidable monster that that swells before them. 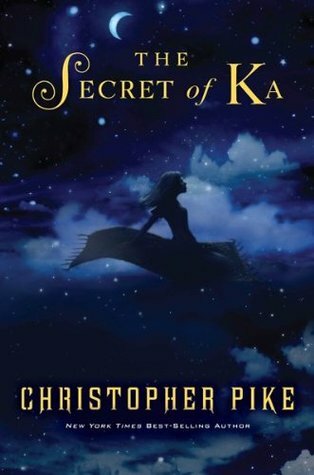 It hypnotizes Amesh, compelling him to steal Sara’s flying carpet—the ancient Carpet of Ka—and leave her stranded. Whoa, yes I definately want to read this one. Thanks! Another great book, thank you for the great giveaways. I've heard a lot of good things about this one. Thanks!! Saw this book and thought about getting it more than once. I'd love to have this one! sounds cool! enter me please!